Initiated in 1990, the Human Genome Project took an international consortium of researchers thirteen years to produce the first reference sequence of the human genetic code, costing approximately 2.7 billion dollars.1 Fifteen years later, sequencing technologies have evolved at a rapid pace, making genome sequencing easier, more accurate, faster and more affordable. Earlier this year a report in Nature Biotechnology highlighted the MinION nanopore sequencer (Oxford Nanopore Technologies, UK), which is a handheld, portable real-time device for DNA and RNA sequencing.2 This device can be purchased online for one thousand dollars and is capable of generating a genome sequence within a couple weeks.3 To demonstrate how far sequencing has come, MinION was used on the International Space Station to conduct the first DNA sequencing in zero gravity.4 Overall, rapid sequencing of microbial genetics to diagnose infections, or human DNA to characterize disease, is increasingly driving bench-to-bedside care. Precision medicine is an approach that identifies a treatment strategy based on knowledge of individual genetic variability, environmental and lifestyle factors. Many diseases are not caused by a single-gene alteration, but instead involve a myriad of genetic mutations throughout the genome, as well as interaction with environmental catalysts. To understand the etiology of these complex diseases and navigate all the potential confounding variables requires a concerted effort, especially considering the human genome alone is comprised of over three billion base pairs and over twenty-six thousand genes.5 Large population-based genetic studies provide the necessary statistical power to identify rare mutations along with variants of small effect, as well as detect associations between environmental and/or biological exposures, lifestyle factors and other variables. Two excellent examples of large population studies driving the precision medicine initiative are the Simons Foundation Powering Autism Research for Knowledge (SPARK) project sponsored by the Simons Foundation Autism Research Initiative (SFARI) and the All of Us project sponsored by the National Institute of Health (NIH). SPARK’s goal is to recruit 50,000 people with autism and their families to accelerate research and improve the understanding, diagnosis and treatment of Autism Spectrum Disorder (ASD).7 Differing from SPARK’s focused commitment to understanding a single condition, the All of Us research program is designed to collect data from one million participants and build a national resource cohort informing thousands of studies involved with researching all aspects of human health and disease.8 Massive research studies have the power and the scope to fully investigate the genetic cause of disease, thereby enabling more effective preventative strategies and treatments to be developed that translate into real improvements for patients and their caretakers. Humanity has a data storage problem; not just with the mountains of data generated in the pursuit of science, but with our burgeoning digital technology revolution. More data was created in the last few years than all preceding history, and every five years the amount of data produced increases ten-fold.9 What this means is data generation is outpacing the ability to store it. An interesting solution is to encode digital data into synthetic DNA. In theory, 215 million gigabytes (215 petabytes!) of data could be housed in a single gram of DNA.10 The process involves using DNA’s four nucleotides to encode the binary system of 0’s and 1’s traditionally used.11 DNA is not only ultracompact, it also has the benefit of being incredibly robust, potentially lasting thousands of years.12 In 2012, a digital fifty-two-thousand-word book was stored in DNA for the first time by George Church and colleagues at Harvard Medical School.13 In 2017, the same laboratory was published in Nature for using CRISPR-Cas gene editing technology to encode a short digital video into the living genomes of bacteria, and successfully retrieve it.14 The researchers chose the 1878 black-and-white film of a galloping horse recorded by British photographer, Eadweard Muybridge, which now has the dual honour of being the first motion picture ever recorded, as well as the first video ever stored in DNA. This new approach is not ready for large-scale use yet, but the potential certainly exists and is very exciting. Watch The Genetic Link for the second part of this series to read about our final 3 highlights. You can also subscribe to our blog to receive an email with the second part of this article coming later this month. Update: Click here to link to part 2 of this article. 1. “The Human Genome Project completion: Frequently Asked Questions”. gov. National Human Genome Research Institute (NHGRI), 30 Oct 2010. Accessed 2 Apr 2018. https://www.genome.gov/11006943/human-genome-project-completion-frequently-asked-questions. 2. Jain, Miten et al. “Nanopore sequencing and assembly of a human genome with ultra-long reads”. Nat Biotechnol, Epub ahead of print, 2018. doi: 10.1038/nbt.4060. 3. “MinION: Portable, real-time biological analyses”. Oxford Nanopore Technologies. 2008-2018. Accessed 2 Apr 2018. https://nanoporetech.com/products/minion. 4. Castro-Wallace, Sarah L. et al. “Nanopore DNA Sequencing and Genome Assembly on the International Space Station”. Sci Rep, vol. 7, no. 1, pp. 18022, 2017. doi: 10.1038/s41598-017-18364-0. 5. Birney, Ewan, and Nicole Soranzo. Human genomics: The end of the start for population sequencing”. Nature, 526, no. 7571, pp. 52-53, 2015. doi: 10.1038/526052a. 6. SPARK Consortium. “SPARK: A US Cohort of 50,000 Families to Accelerate Autism Research”. Neuron, 97, no. 3, pp. 488-493, 2018. doi: 10.1016/j.neuron.2018.01.015. 7. “Autism Research”. SPARK, SPARK: Simons Foundation Powering Autism Research for Knowledge, 2018. Accessed 4 Apr 2018. https://sparkforautism.org/portal/page/autism-research. 8. “About the All of Us Research Program”. All of Us Research Program, National Institutes of Health, 2018. Accessed 4 Apr 2018. https://allofus.nih.gov/about/about-all-us-research-program. 9. Ceze, Luis, and Karin Strauss. 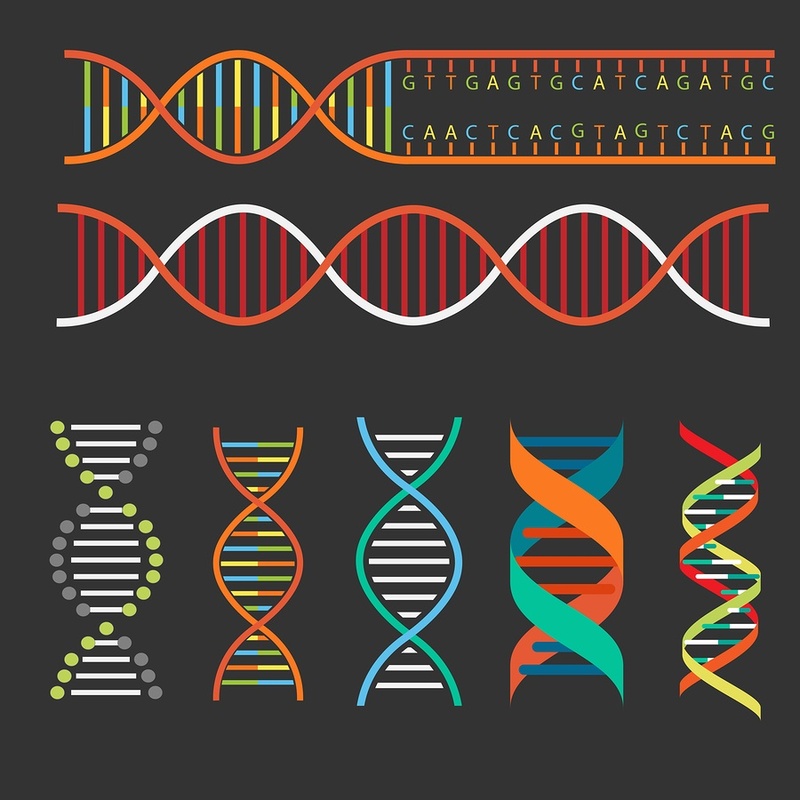 “Storing data in DNA brings nature into the digital universe”. The Conversation, 27 July 2017. Accessed 2 Apr 2018. https://theconversation.com/storing-data-in-dna-brings-nature-into-the-digital-universe-78226. 10. Service, Robert F. “DNA could store all of the world's data in one room”. Science, American Association for the Advancement of Science, 2 Mar 2017. Accessed 2 Apr 2018. http://www.sciencemag.org/news/2017/03/dna-could-store-all-worlds-data-one-room. 11. Bohannon, John. “DNA: The Ultimate Hard Drive”. Science, American Association for the Advancement of Science, 16 Aug 2012. Accessed 2 Apr 2018. http://www.sciencemag.org/news/2012/08/dna-ultimate-hard-drive. 12. Green, Richard E. et al. “Analysis of one million base pairs of Neanderthal DNA”. Nature, vol. 444, no. 7117, pp. 330-336, 2006. doi: 10.1038/nature05336. 13. Church, George M., Yuan Gao, and Sriram Kosuri. “Next-generation digital information storage in DNA”. Science, vol. 337, no. 6102, pp. 1628, 2012. doi: 10.1126/science.1226355. 14. Shipman, Seth I. et al. “CRISPR-Cas encoding of a digital movie into the genomes of a population of living bacteria”. Nature, vol. 547, no. 7663, pp. 345-349, 2017. doi: 10.1038/nature23017.